Just because you’re renting doesn’t mean you need to settle for someone else’s design style. We’re sharing 21 clever and cheap tricks to create maximum design impact without breaking the rental rules. If you’re stuck with horrible fluorescents or outdated light fixtures, there is a super quick and cheap fix. Buy some floor and table lamps and strategically place them in your living areas and bedrooms. Or if it’s bare bulbs, or removable lightshades, buy some cheap and pretty DIY light fixtures. To instantly modernise a kitchen or bathroom, simply unscrew the handles on the cabinetry and replace with fancy new ones! Just don’t forget to pop the old handles in a labelled snap-lock bag and store in a safe place so you can replace them when you move on. Indoor plants instantly make any space feel more homely and beautiful. They’re also great if you’re in an apartment without a yard. 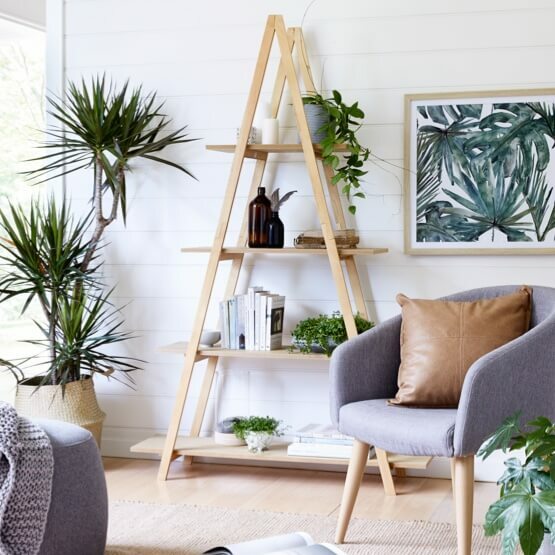 Check out what plants are trending in interiors here or if you struggle to keep plants alive, our top 20 hard to kill indoor plants guide is a life saver! Custom cabinetry isn’t really an option in a rental, but it’s quick and easy to add your own storage with a cheap flatpack cube unit. 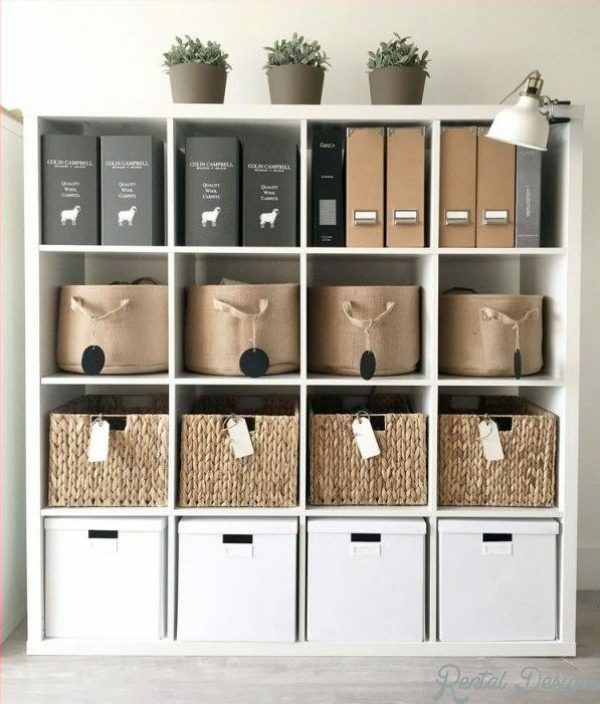 You can style it with beautiful and practical baskets, and balance some art or trinkets on top to make it feel more like home. Rental carpets tend to be very practical – read drab. You can instantly glam up a room by adding a beautiful large plush rug. If you invest in a good quality one, it will be able to move with you from home to home. The bonus is your rental carpet is also protected from spills and wear and tear, which you’ll be grateful for when it’s time to get your bond back! 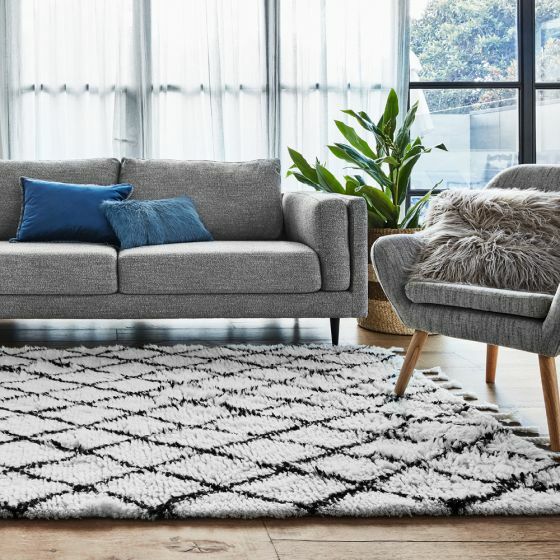 Check out our favourite places to shop for rugs here. 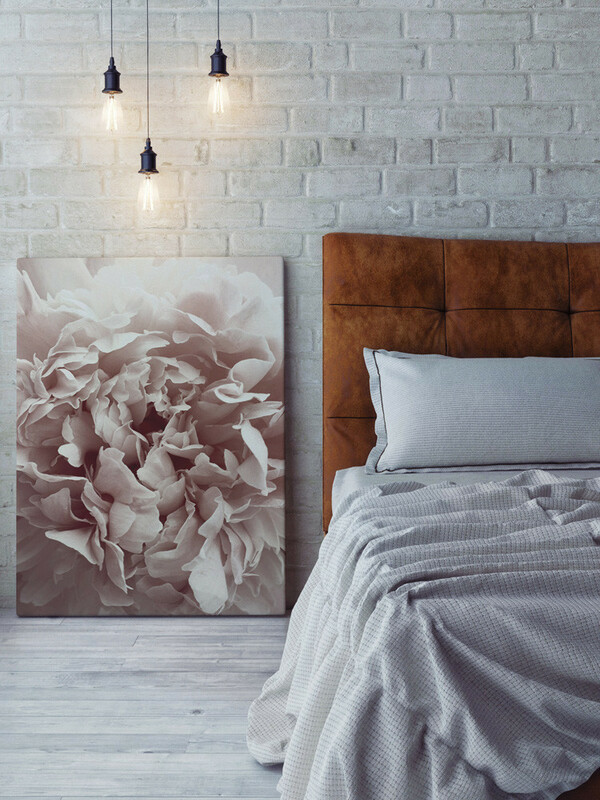 Treat yourself to beautiful, luxurious bed linen to personalise your bedroom, add colour and texture, and make the space feel really special to you. To soften a room or hide an ugly blind, just hang some beautiful curtains! These might be thick textured blockout curtains, or beautiful sheer drapes. You can even get temporary blinds like these ones from IKEA. If you don’t want to screw hooks into the wall, simply pick up a spring-loaded curtain rod from your local hardware store. 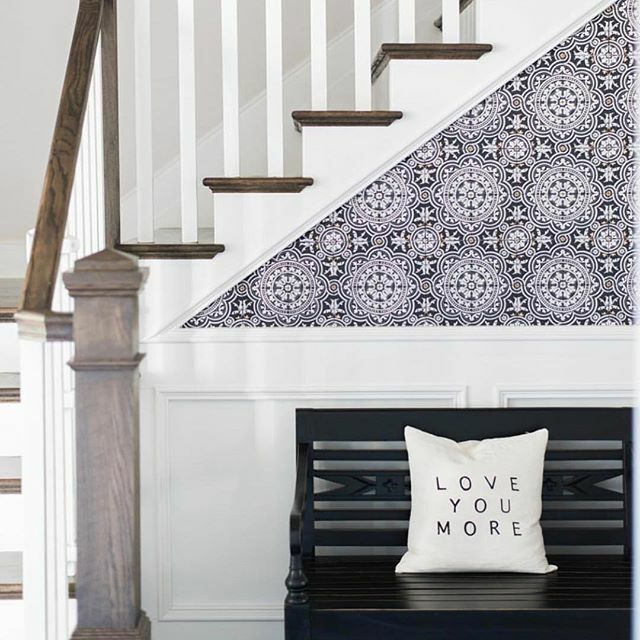 There’s a huge selection of temporary wallpaper and wall decals available online and it’s relatively easy to install and remove when you’re done. By just adding the wallpaper to one wall in a room you can create a beautiful point of interest and make it feel more like home! With any luck, there will already be some appropriately placed nails or hooks on the wall that you can take advantage of. Invest in a beautiful piece of art that will work with a broad palette of colours so it can move with you. If there are no hooks, use the removable command hooks, strips and tape to avoid putting holes in the walls. If there is no appropriate wall space, simply lean your artwork against the wall on top of your bookshelves and storage unit, or even on the floor if it’s a large piece. 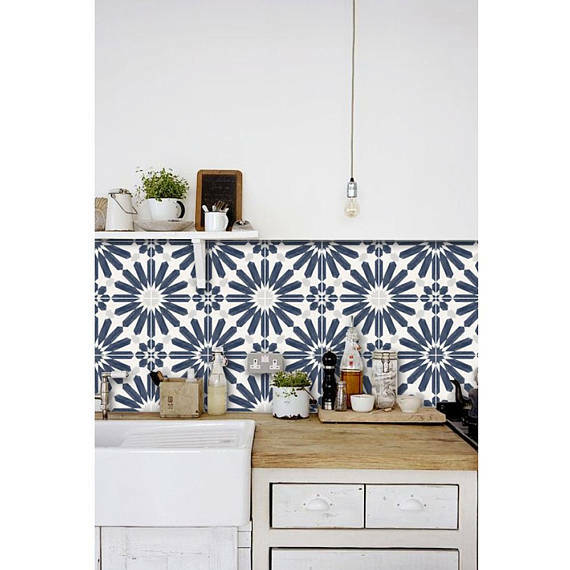 If you hate your kitchen splashback, there are so many beautiful and temporary options, like these funky stickers from Etsy! When it’s time to peel it off, it should come away relatively easily, and you can use a bit of eucalyptus oil to remove any sticky residue. 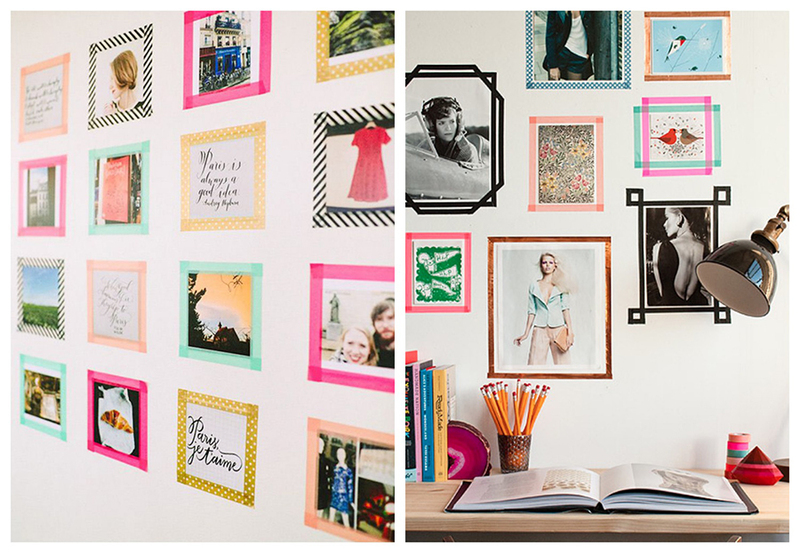 If you’re nervous about putting things on walls, there are still ways around it! 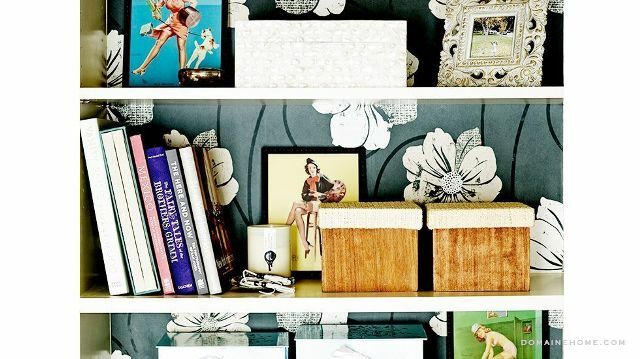 Paint or wallpaper the back of a tall bookcase or storage unit, or if you want something you can easily update, cut out cardboard panels to shape and paint them or wrap them in fabric and secure them to the back of shelves. Otherwise, simply giving your tables, stools and chairs a fresh coat of paint can really brighten up a room. Use different coloured washi tape as alternative to wall frames – not only does it look great, but it can be easily peeled off without damaging the walls. If you can’t change the rooms, buy furniture that you really love to come home to. 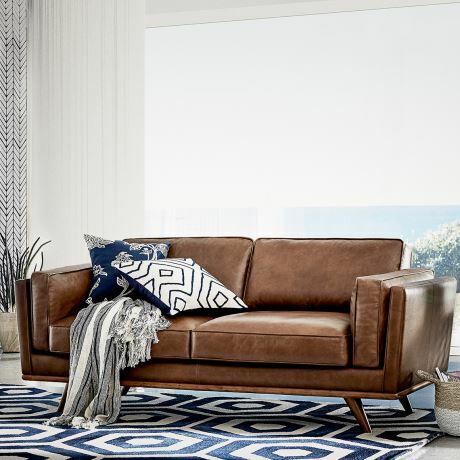 Try and pick pieces that are versatile and durable and will work in a variety of room shapes and sizes. 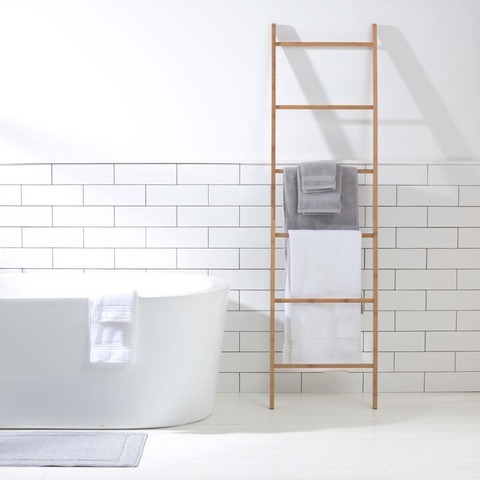 A wall ladder not only looks great, it’s a perfect way to add some colour to your walls without hooks or nails. See how Gina used a ladder in her living room to display magazines and a hanging pot plant here. And in the bathroom, it’s perfect for extra towel hanging! Use throws, cushions, trinkets and rugs to make the space reflect your style. 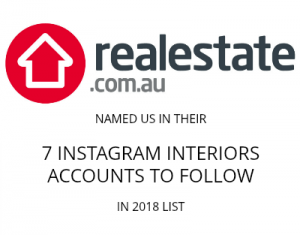 They do no damage and can move with you from home to home. 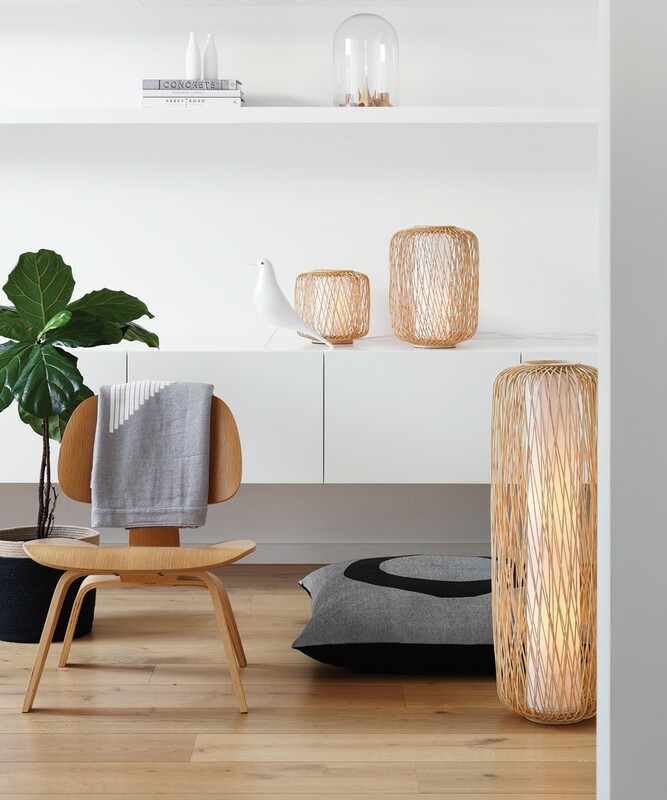 And with the affordable homewares range from places like Kmart, Big W and Target, there is something to suit any budget. If your kitchen cabinets are beyond ugly, simply take them off the hinges and store them somewhere safe. 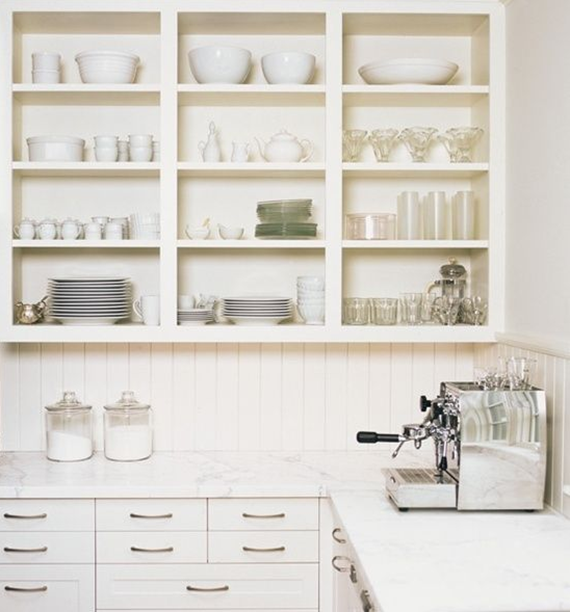 Open cabinetry is very on trend and it will allow you to display some of your beautiful crockery! If your shower floor makes you shudder, create a beautiful DIY timber floor like this one to hide ugly tiles and give the space a beautiful modern feel. 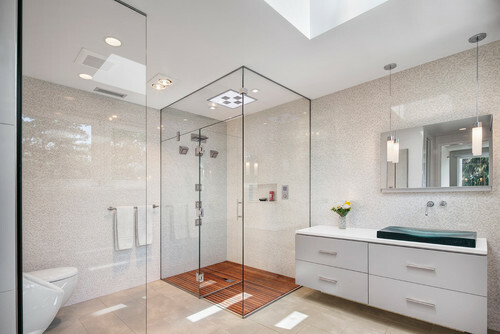 While you are in your bathroom, replacing an old and ugly shower head with a nice new one can instantly create a luxe feel in your bathroom. Just make sure you keep the old shower head in the bathroom cabinet to swap back when you leave. 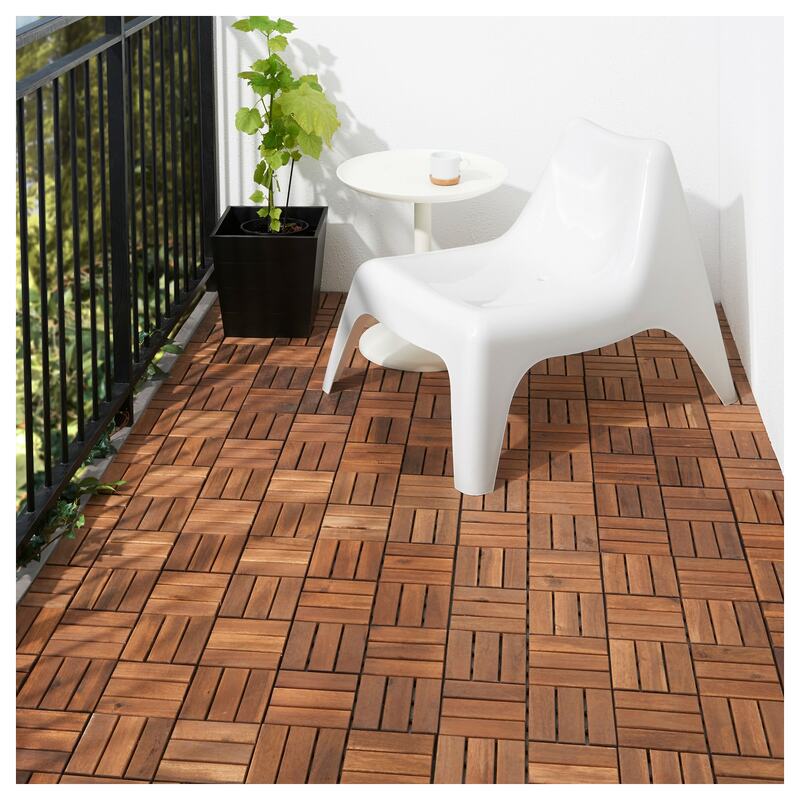 These cute outdoor decking tiles from IKEA are easy to assemble and will give your balcony an instant facelift. Head to your local hardware store and check out the range of modern powerpoint and light switch covers available. Matte covers or those with flush buttons will instantly make a room feel more sleek and modern. Again, make sure you keep the old covers to pop back on when it’s time to leave! 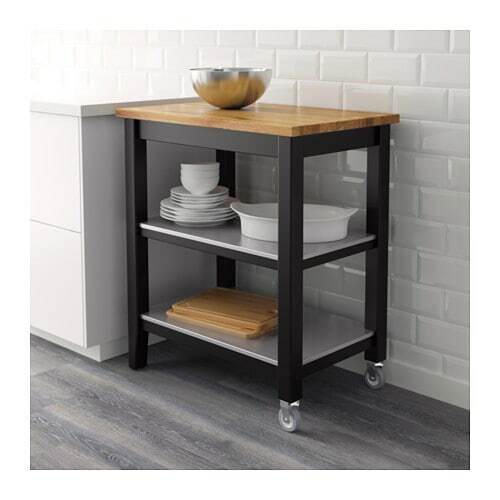 If your kitchen lacks bench space, you can add instant space and style with a movable bench. When not in use, you can roll to the side, and store your beautiful pots and pans underneath. Have you got a clever rental decorating hack? Let us know in the comments. What a fantastic and VERY useful article. Thank you! I am about to move into a rental that has an air conditioning unit which sits inside the main window. Do you have any useful hacks as it’s such an eyesore and the very first thing my eyes are drawn to as I walk into my daughters bedroom. Thank you so much Gina and so very helpful. Great suggestions, Naomi! I was waiting for an article like this for the longest time. Thanks so much!